recruit participants on vacant vacancies for the post of Junior Assistant in several disciplines on or before dead line. To cash opportunity go till final word of this article. Such appliers who possess passion and self motivated for available positions they will have to go through the official website of this department to forward the online application. All willing applicants keep preparing to pass written exam and interview. The exam will be commenced on given date. Several highlights in association with way to apply for Recruitment are declared below by the team members of ejobhub for the visitors of this portal to help them. All candidates should read about the applying method and then submit checked form on or before last date. To apply successfully, appliers should check skills as per post. More probability of further jobs in the same department will be available in the official website of www.gsecl.in. Now you can apply for a new chance of job. For other sector jobs stay tuned with this portal. Best of luck to suitable participants!! 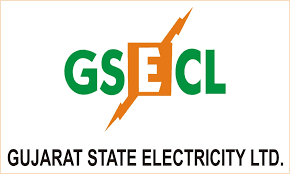 Structure of Salary: Appointed candidates for the GSECL Vidyut Sahayak job, will Receive Rs. 10000/- for the 1st Year and Rs. 11500/- for the second year. In the 3rd year they will get Rs. 13000/- as salary. Educational Record: Applicants must have Graduate in any discipline and knowledge of computers and English language. Age Limit: For the general category candidates should have age of 30 years and for the SC/ST/SEBC Candidate, their age should be 35 years. Age relaxation for the Female Candidates will be 05 Years and 10 years for the PH Candidates. Ex Armed Force Personnel will get 10 years age relaxation. The mention age relaxation will get under the Yuva Swavlamban Scheme. Selection Process: Selection of appliers will be made on basis of performance in Main written exam and interview. Go to the “Career” tab mention in the main menu bar.